Photuris is a genus of fireflies (beetles of the family Lampyridae), containing the femme fatale fireflies. This common name refers to the fact that the females of these predatory beetles mimic the light signals of other firefly species' males, to attract, kill, and eat them. 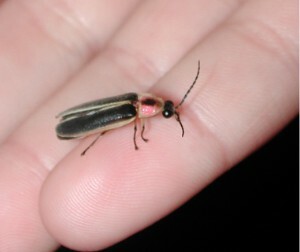 The Pennsylvania Firefly (Photuris pennsylvanica) is the state insect of Pennsylvania, and the Common Eastern Firefly (Photuris pyralis) one of the state insects of Tennessee.